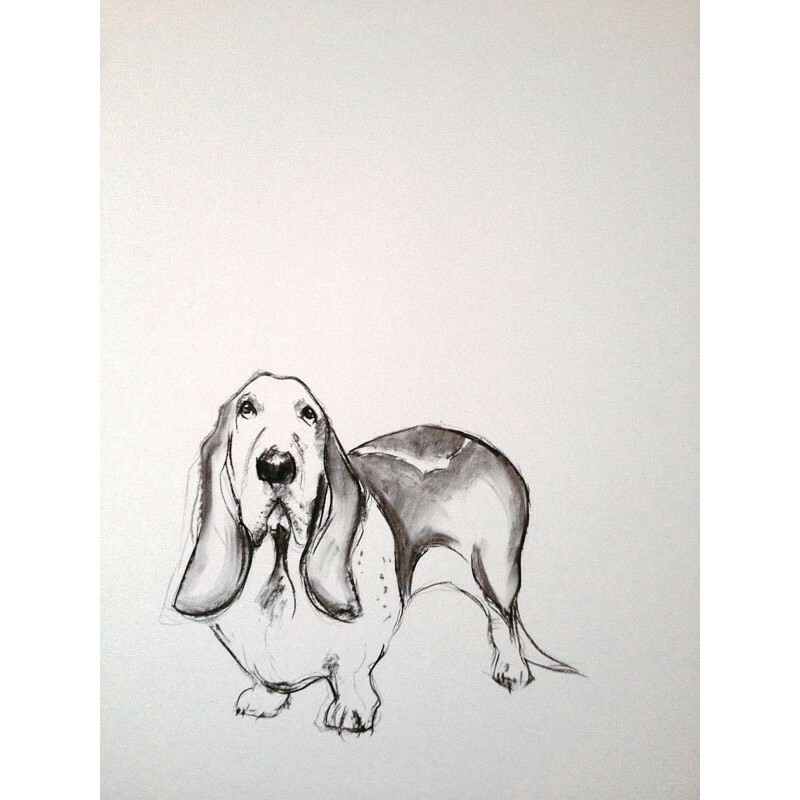 A Dog A Day began life with a Facebook post in 2013: ‘My name is Sally Muir and this is a new gallery where I will add a dog drawing/painting every day, adding up to a massive 365 day dogfest.’ And she did it! Some days she drew or painted several pieces, some days she didn’t do any, but every day she posted a new one. As people became interested, she also became more adventurous in her materials. 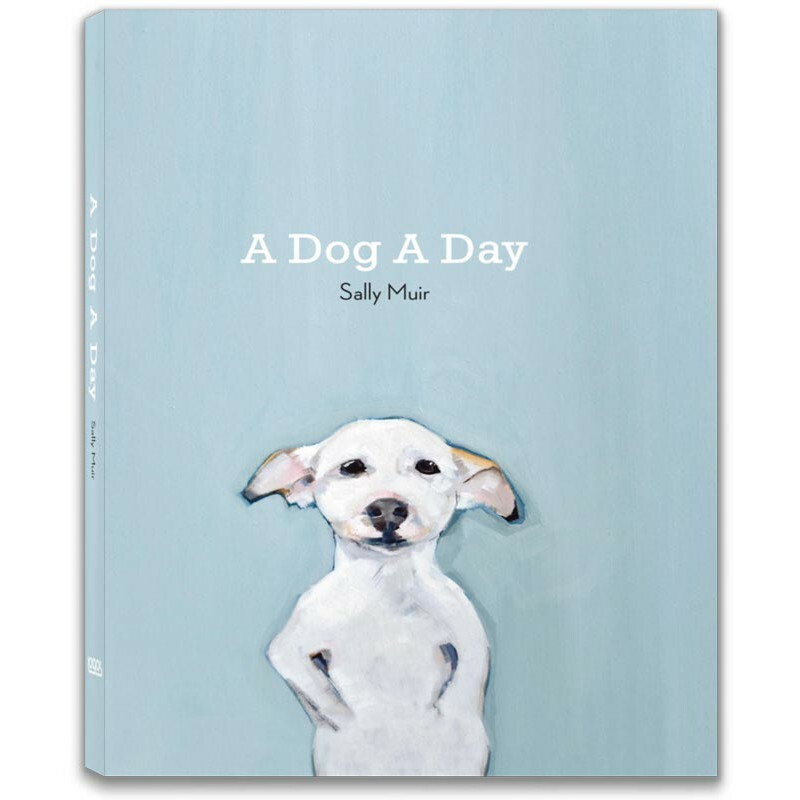 And as the Facebook page grew in popularity, so did Sally’s dog portraits, leading to commissions, exhibitions at prominent galleries, and dog sketching events at venues including Anthropologie – who went on to commission an incredibly successful collection of dog-a-day crockery and textile-based household accessories. 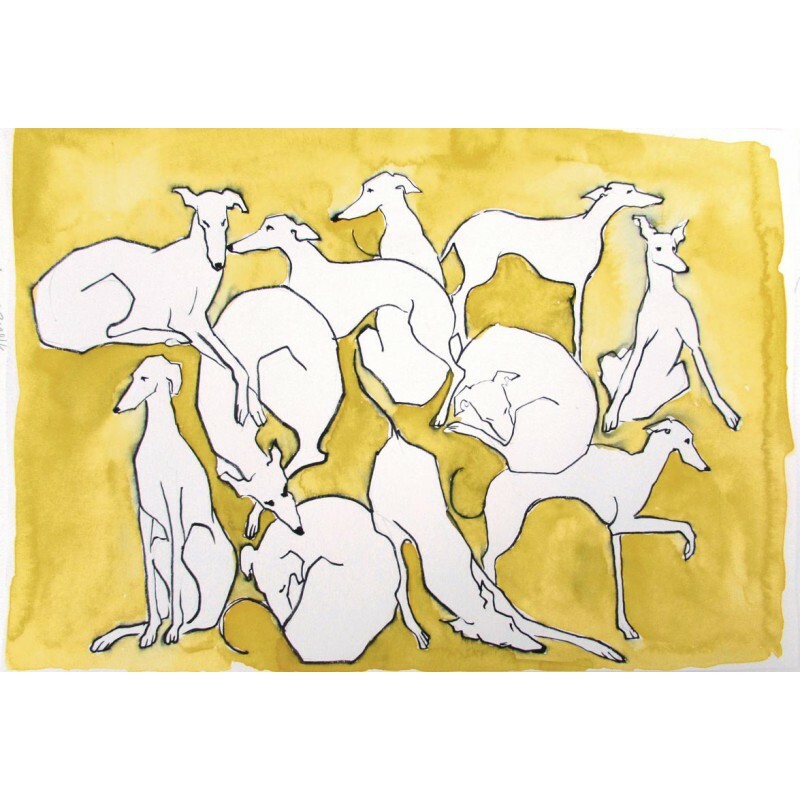 Drawing on artworks from the site, A Dog A Day is a lovingly curated collection and celebration of dogs. 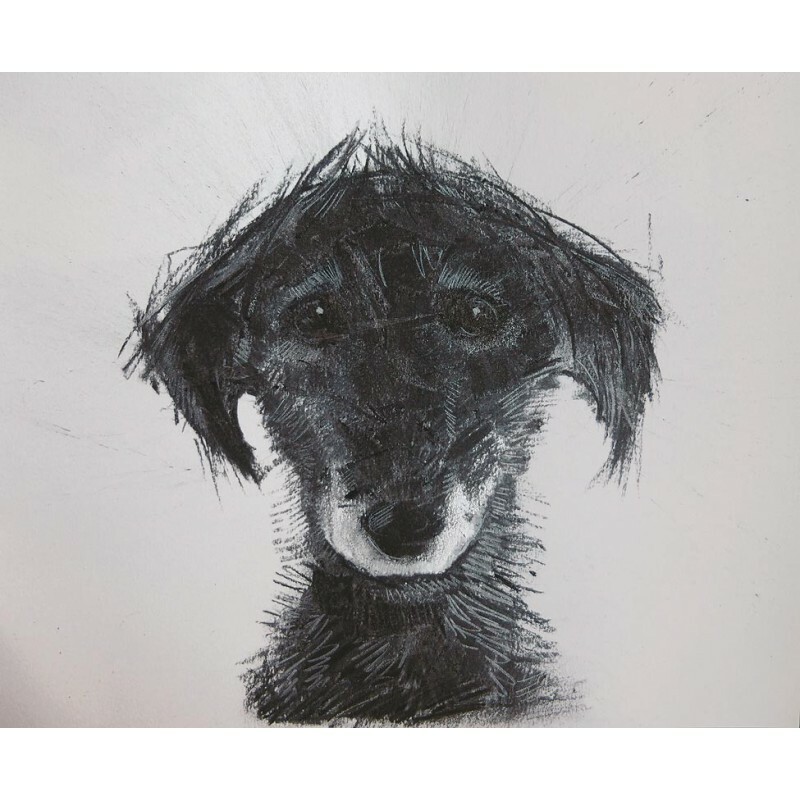 Containing 365 beautiful artworks of dogs of all shapes and sizes (big, small, pedigree, cross breed), the book includes a range of exciting mediums from loosely worked sketches, lithographs and potato prints to finished oil paintings. 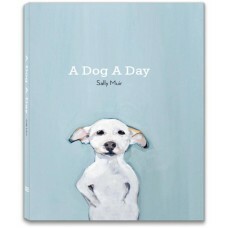 Delightfully packaged, this is the perfect gift for all dog lovers. 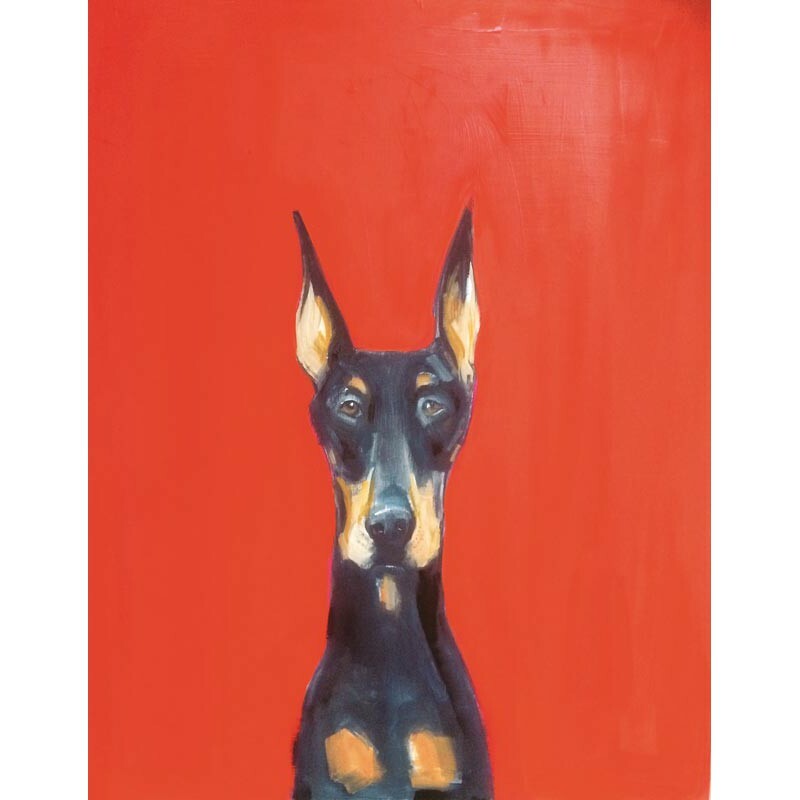 Sally Muir is based in Bath, UK and is a prodigious portrait painter of dogs. 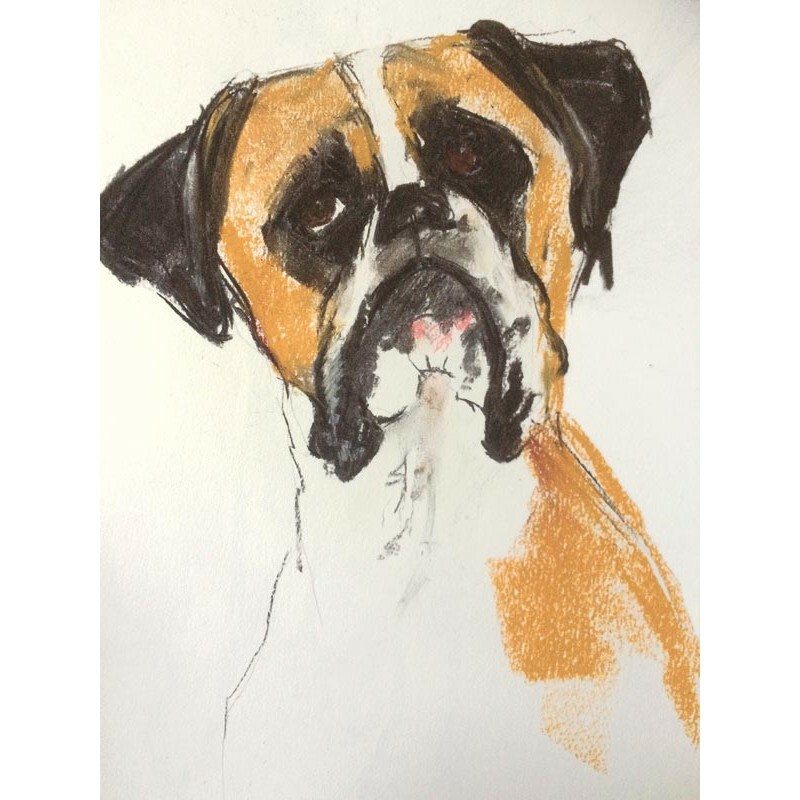 Other subjects include human portraits and landscapes, as well as the occasional rodent and bird. For years Ms. Muir focused on her knitwear business Muir & Osborne as both a designer and author. With her partner Joanna Osborne, they have published seven knitting pattern books that include Best in Show, Knit Your Own Dog, (also Cat, Pet, Zoo, Farm and Dinosaur) and the children’s book Patch’s Grand Dog Show. Ms. Muir returned to university as a mature student with a concentration on Fine Art. Children’s portraits gave way to dog portraits. Muir is the recipient of many awards and her work appears regularly in galleries. She accepts and enjoys commission work — dogs and humans alike.